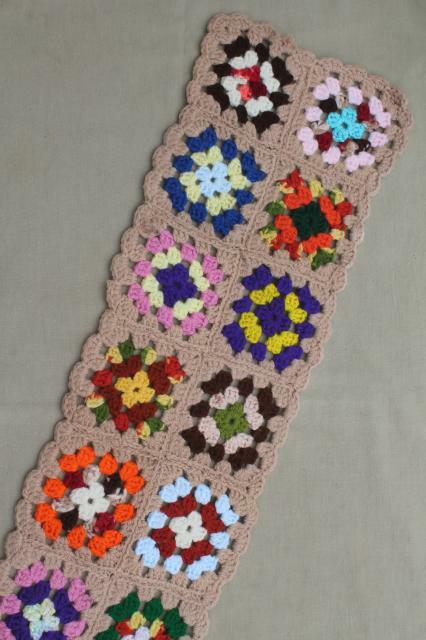 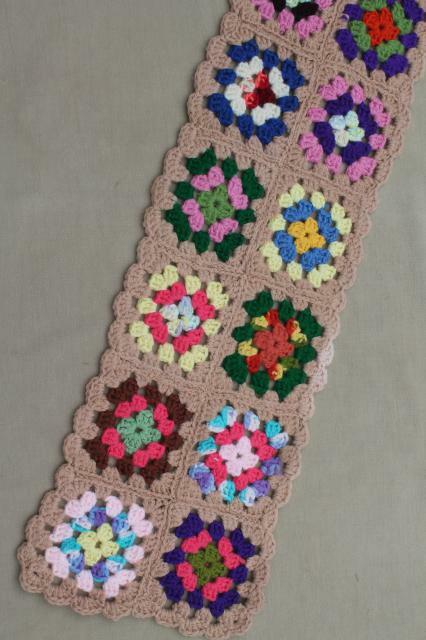 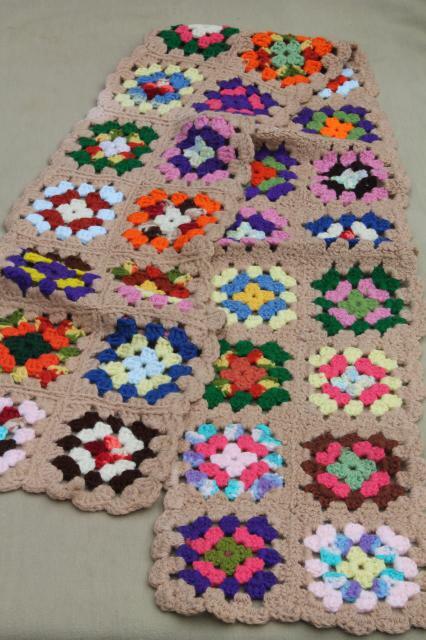 60s - 70s vintage granny square scarf, cute and fun! 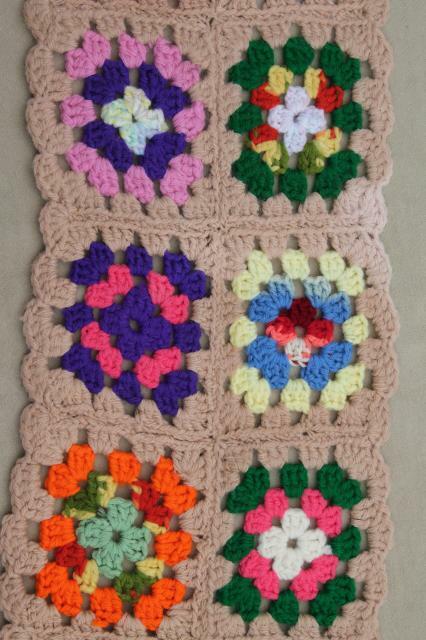 This is all acrylic yarn, I believe. 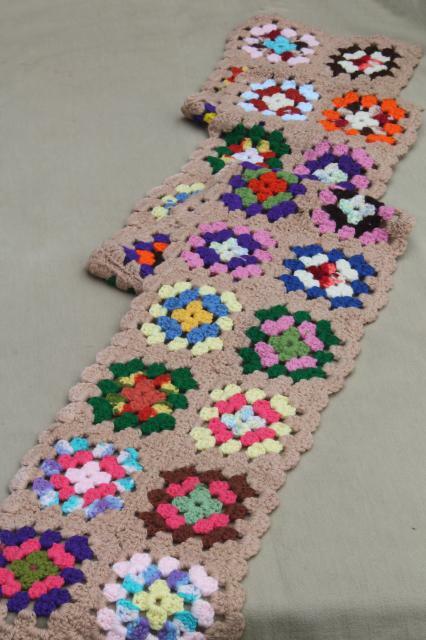 It's about 7 1/2" wide x 88" long overall.